Many people are hopeful that they would never have to get a lawyer in order to resolve some sort of situation or conflict during our lifetimes. However, there are going to be lots of cases where it really is smart to talk to and get the help of experts in the legal field. And whether you want to or not, sometimes the smart decision is going to come before the preferred decision. Four cases in particular when it starts to lawyer up would include when there is any sort of personal injury involved, if there are divorce proceedings in question, any type of time when there is whistleblowing happening between an employee and their company, and whenever there are issues with landlords, particularly when any sort of eviction is in play. If you have been involved in a personal injury situation, you truly do need to get a lawyer. Especially since medical bills can be very high these days, you don’t want to end up in any sort of legal situation where you can’t require the person who hurt you to pay for the medical expenses that have accrued. Word-of-mouth agreements are not good enough when it comes to personal injury cases. Even if you know the person who harmed you, it’s important to get legal representation involved. 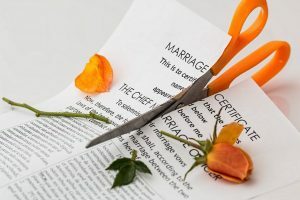 Another huge situation that would require a lawyer if you want the end results to be legally secure is when going through a divorce. This is another one of those cases where just verbally telling people that you agree to certain things is not enough. Especially when it comes to custody issues, parents and guardians have to be absolutely sure that the correct contracts and guidelines are drawn up by legal representatives in order to prevent any sort of future issues later. Because children are involved in a lot of divorce cases, and careers and bank accounts can be affected as well, you want to get the best lawyer that you can involved. There are quite a few instances where an employee may want to turn his or her employer in for some kind of legal reason. A lot of great things can happen from this kind of situation, where employers are trying to take advantage of their power and position. Employees have a lot of whistleblowing protection that they may not know about. That’s why it’s important to talk to a lawyer if you plan on taking on your company in any sort of legal manner. A final time we need to make sure that you have a lawyer is if you ever run into any issue with your landlord. Because where you live is so important, if there’s any situation where there’s confusion about payment, or the necessity to figure out how to work with evictions, having a lawyer on hand may be the difference between having a place to live and not. Because this is such a vital life topic, knowing that you have legal representation is extremely important any time you run into trouble with a landlord.